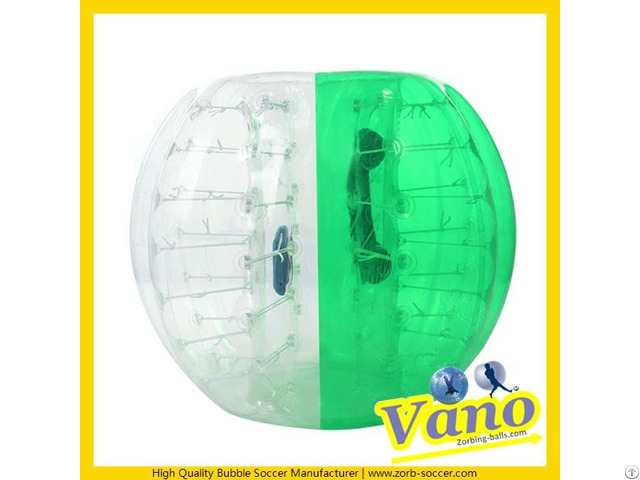 Zorb Soccer Bubble Ball, Bubble Football is a fantastic inflatable sphere. Humans can wear it in zorbing soccer events or more zorb ball activities. Generally speaking, it is like a bumper or bubble suit on people. Then it is protective equipment during the bubble sports recreation. Obviously, we can see two opening holes up and down. One above hole on the bubble covers people's head completely, the other for the legs freedom. In addition, every player must put on the shoulder straps properly. Moreover, they should hold the handles, crashing and running each other. The team wins the soccer bubble sports if making more goals. 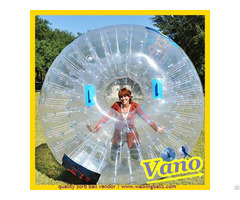 Bubble Ball Factory - Vano Inflatables Limited.